Our luxurious collection of faux and real wood venetian blinds is the perfect way to add a touch of character, warmth and texture to your home. Handcrafted in the UK to the highest of standards, our high quality made to measure wooden blinds come in a wide range of stylish colours, exotic grains and fine stains. Wooden blinds are made up of horizontal louvres that can be rotated to let in varying amounts of light. They can also be raised to completely reveal your window, giving you complete control over sunlight and privacy. With a choice of timeless natural fine grain textures and cool, contemporary colours, our luxurious faux wood venetians are a stylish choice for any room. They’re waterproof and extremely robust, so ideal for bathrooms and kitchens. Our high quality collection of hardwearing faux wood venetians with tapes are waterproof and tough, so they’re perfect for the kitchen or bathroom and are come in a wide variety of stylish matching and contrasting tapes. This beautiful collection of high grade woods features natural deep grains and fine grains alongside more contemporary gloss and matt painted finishes. Handmade, high quality and available with a stylish choice of optional decorative tapes. Bring the beauty of the natural world into your home with this timeless collection of premium grade real wood blinds. Choose from a luxurious range of colours, stains, textures and exotic grains for a smart, organic and truly sophisticated look. Second order and both times excellent service, helpful staff and prompt delivery. Very pleased with our new wooden blinds. I have used English Blinds several times and will return to them again in the future. Great service and product. Easy to use web site and easy fit products well packaged. Delighted with product. Easily fitted and look great. Request for sample dealt with very promptly. 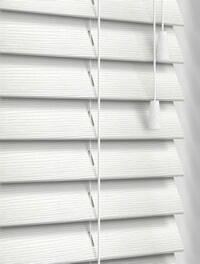 No hesitation in recommending English Blinds to others. Excellent service. The wooden blinds I ordered arrived on time and fitted perfectly. Really good quality. Very happy with our purchase. A lovely quality product that really compliments our newly built kitchen. Will definitely be using English blinds again. The wooden blinds are very good quality and really nice to operate. They look perfect and fit so well with my measurements. The blind is excellent. It arrived quickly. Easy to fit, works smoothly and looks great. Had no problems at all. Ordered from the website, which was very simple, and a few days later my blinds arrived and are spot on. I was very happy with the service and the quality is excellent. I would recommend English Blinds to anyone. Thank you. Easy website to use, the finished product is very good quality and looks great against my window. Very satisfied, would recommend to all. Just wanted to write a glowing review of your products, the quality is first class. I wish there were more companies this straightforward! I’ve already bought 4 blinds from you and am ordering samples for 2 more. The ordering, and the products - and it’s all so easy, thank you. We’ve now dressed every window in our home with blinds from English Blinds. I can wholeheartedly recommend their service and products. Couldn’t fault the quality of the product or the service. This is the second time we have bought from you and would happily do so again. Extremely good service from start to finish. Prompt delivery and a great range of colours and styles to choose from. Delighted with all aspects of the service, from the ordering to the delivery and also the quality of the product, everything went smoothly.